VISALIA – Housing affordability is at a 10-year low in Tulare County and there may not be enough affordable housing to meet the growing need in the next five years. 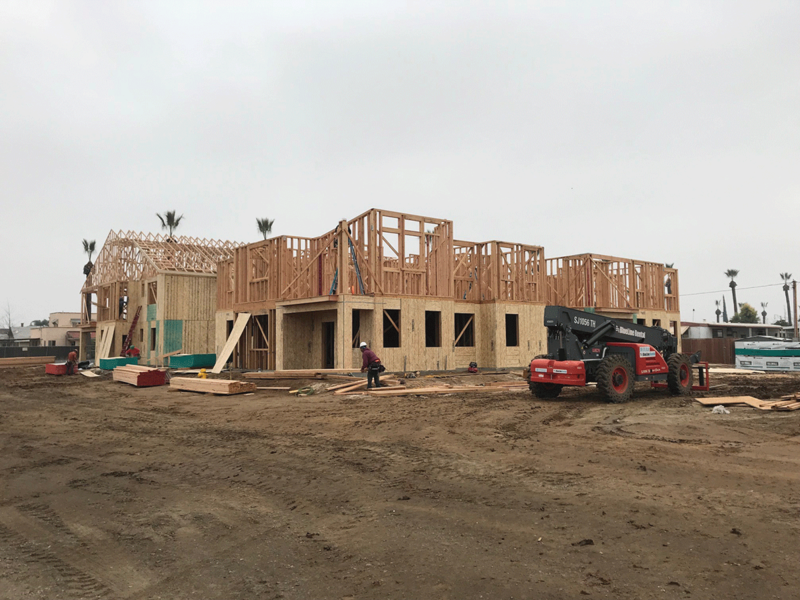 At its March 18 meeting, the Visalia City Council approved the Annual Progress Report of its Housing Element tracking the number of housing units permitted by income category and the city’s progress in meeting affordable housing goals by the year 2023. This is the first year of the report mandated by two bills signed by the Governor in 2017. Senate Bill 35 streamlined the process for approving affordable housing projects and requires counties and cities to provide an annual report on the entity’s progress in meeting its share of the county’s regional housing needs. A companion bill, Assembly Bill 879, requires the annual report to compare permits issued year to year and identify obstacles to affordable housing projects. Approved every 10 years, the Regional Housing Needs Assessment (RHNA) sets the goal for additional housing in counties and cities for the next decade and beyond. The county’s last RHNA was approved in 2014. The next will be approved in 2023. The report tasked Visalia with building an additional 10,000 housing units between 2014-2023. Forty-five percent of those need to be affordable housing, defined as housing for those designated as very low or low income, which represents 40% of the county’s total need for affordable housing. In Tulare County, very low income is defined as households making less than $24,000 per year and low income is between $24,000 and $39,000 per year. Extremely low income households are those earning less than $15,000 per year. Visalia has made great strides in ensuring housing for low income and moderate income housing. The city has permitted 30% of its low income housing goal and 20% of its moderate housing goal for 2023. The biggest hurdle for the city in the next five years will be ensuing there is enough very low income housing. In the last four years, Visalia has only permitted 2% of the 2,600 units needed to reach its goal. That leaves the city 2,500 units short of its very low income housing goal for 2023. The County of Tulare, which is responsible for just under 10% of affordable housing needs for the entire county, is faring better with very low income housing goals but not as well with low income housing. The county is at 14% of its goal for very low income and 20% of its goal for low income. That means the county’s goal is to permit more than 1,200 very low income housing units and 850 low income units over the next five years. According to a report released in August by the California Association of Realtors (CAR), Tulare County has seen one of the biggest drops in affordability compared to surrounding counties in the last year due to a combination of record home price increases and higher interest rates. Sixty-five percent of households could afford to purchase an entry level home in the second quarter of 2018, that’s down 2% from the first quarter of 2018 and down 4% from 2017. Tulare County was among nine Central Valley counties to see a decrease in housing affordability from a year ago (Fresno, Kern, Merced, Placer, Sacramento, San Benito, San Joaquin, Stanislaus and Tulare). Kings County remained unchanged and Madera County saw a 7% improvement. Tulare County remains affordable when compared with the rest of the state. Tulare County’s median home price is still $198,050, with an average monthly mortgage payment of $1,060, lower than all of the surrounding counties and the fourth lowest in the state. CAR estimates that households making more than $31,000 can afford a home in Tulare County. Tulare County is still one of the most affordable counties in California, only trailing Madera (71%), Kings (70%), and Lassen (77%) Counties. The Central Valley remains the most affordability region for housing statewide. Every county between Kern and Placer Counties is double the state average of 26% and close to the national average of 69%. Overall, nearly two-thirds (63%) of Valley households can afford a single-family home compared with 60% in the Inland Empire, less than half in Los Angeles area (48%) and just over one-third (34%) in the Bay Area. Statewide, only 26% of California households could afford to purchase the $596,730 median-priced home in the second quarter of 2018, down from 31% in first-quarter 2018 and down from 29% a year ago. This is the 21st consecutive quarter that the index has been below 40 percent. California’s housing affordability index hit a peak of 56 percent in the second quarter of 2012.